If you find "Session has timed out. Please click OK to start a new OPAC session". All members of RCYCI community including Teaching staff, administrative staff, Bachelor students and Associate Students are eligible for the membership of RCYCI Libraries. The Library Membership Form* are available at the Circulation Counter. Fill-up the Membership Form and submit on the Circulation Desk. Please remember to complete all required information including the contact information and e-mail address. (office email for students; student_ID@stu.rcyci.edu.sa and for staff email@rcyci.edu.sa). Upon registration we'll provide you User ID and four digit PIN. 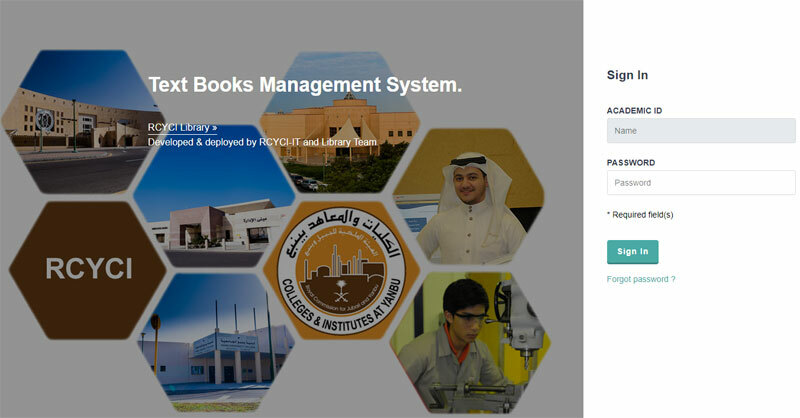 After this you will be able to sign-in the RCYCI LibCat and enjoy number of features including keeping a check on your account details, renewing your books online and borrow books through 3M Self Check System.